Concrete Sensors: Could They Help Boost Your Bottom Line? Concrete contractors can now use embedded sensors to measure maturity and RH in real time. Sensors replace time-consuming traditional testing methods. Results go to readers, loggers or smartphones for immediate access. Accepting new technology may require a learning curve, but it has benefits that repay the investment of time and resources and can give contractors a significant advantage over competitors. 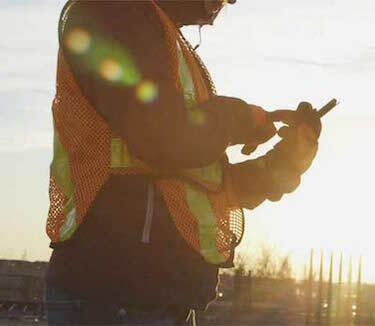 Technology has brought a new level of connectivity to contractors with the development of concrete sensors. Building contractors have had the capability to install connectivity in structures that turned them into “smart” buildings capable of providing numerous benefits to owners. Monitoring the status of critical systems ensures the comfort, safety, productivity and efficiency of buildings and people who occupy them. Ensuring the constant operation of critical systems enables them to control electrical, mechanical and HVAC performance and services that result from them. They control energy consumption, access to buildings, illumination, air quality, sanitation, thermal comfort, physical security. Such support systems typically attract no attention unless they fail to perform. Smart buildings rely on connectivity between control systems and equipment to transmit critical data from buildings to owners, police, fire departments and security services. Facility management budgets require tools and technology that make the performance of buildings provide more comfort, security and safety for lower expenditures of energy and financial resources with less impact on the environment. Contractors can benefit from seeking similar benefits from technology. Obtaining current reports on the status of concrete as it dries and cures saves time and expedites accurate decision making. Recent advances allow concrete contractors to benefit from connectivity through the use of embedded technology. Sensors are a component of a system that gathers and reports data about the curing and drying of pours. 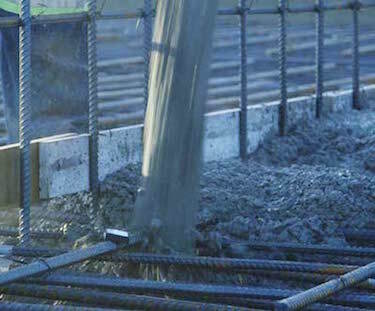 Connecting the sensors to rebar allows accurate reporting that saves contractors time by making manual samples and tests obsolete. Resistance often occurs when changes to tradition create a lack of willingness to accept them, and contractors are often slow to accept change. However, concrete sensors eliminate the need for maturity and compressive cylinder tests that take time and cause delays on the job. Contractors can avoid waiting to remove forms longer than necessary by knowing the exact status of a slab. Accepting the use of embedded systems such as concrete sensors provides the data for making informed decisions. For some contractors, converting invoices to computer software represents a big step toward accepting technology, but connectivity offers practical benefits that let projects move to completion sooner and save money in the process. Contractors may prefer to continue using traditional methods for testing concrete because of familiarity and previous reliance on a trusted process. A typical reaction to change is resistance to adopting new procedures that involve high-tech equipment and software, and many may prefer to wait for proof. Traditional methods provide reliable information about curing and drying in-place concrete, but they have drawbacks as well that create time delays and increase project costs. The waiting time for lab analyses or results from pullout tests, field-cured cylinders or penetration in maturity or compressive cylinder testing creates expense and delays project completion. 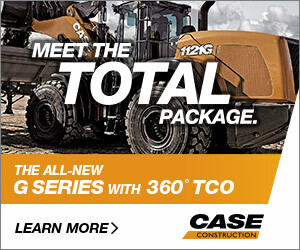 Embedded technology provides faster and more reliable results that help contractors stay on a critical path. Small sensors gather and report data on concrete as it dries and cures. Standards that the American Society for Testing and Materials recommends provides the basis for the engineering in high-tech wireless sensors and software. The advances in construction that embedded technology provides for testing in-place concrete helps contractors enhance slab quality. By providing more reliable results faster, they give contractors who use them an advantage in decision making and savings of time and money over contractors who do not use them. Sensors can relay maturity data that assesses conditions that allow contractors to evaluate the strength of concrete in real time. Avoiding the delays of waiting for test specimens provides time to do productive work such as removing forms and shores. Progressing with applying stress loads can lead to earlier project completion and shortened critical paths. Wireless sensors report the temperature and maturity of concrete from deep inside a slab with accuracy that exceeds traditional tests. Access to information about the moisture level prevents problems that can delay a project or cause extreme consequences. Monitoring relative humidity with embedded sensors can reveal conditions without drilling holes in slabs and can eliminate waiting for RH measures to return. Traditional tests require a period of 72 hours for results to come in, causing potential delays that result from inefficient measurement techniques. Undetected moisture in slabs can create devastating effects on flooring, and embedded sensors guard against it. With an accurate assessment of RH, concrete contractors can prevent conditions that create problems for building contractors who follow. Knowing the RH factor benefits contractors as well as owners. President Thomas Jefferson spoke of the power of knowledge, and knowing the strength of concrete as it matures and dries proves his point. Sensors provide intelligence from the unique perspective of being inside the mix as its temperature and RH change. Sensors help concrete contractors stay on track with meeting critical path milestones and reduce the impact of unknown variables. They provide accurate information on the status of concrete as it cures and dries, avoiding schedule delays and unanticipated expense. With readers or apps that receive information from them, contractors no longer need to drill holes to obtain results of RH readings. Real time indicators of the strength of concrete give contractors the data that allows progress to continue according to schedule or before. With accurate knowledge of the condition of a slab, contractors can strip forms, apply post-tensioning, retrieve precast pieces, and allow traffic to pass. A valuable piece of information that can save lives is knowing when to remove shores safely. Practical information from embedded sensors can help roadway and bridge contractors decide when to open a completed slab to traffic and when to allow load on a structure. Foundations of high-rise or smaller buildings that meet strength and RH tests sooner than traditional tests indicate can expedite progress. Cold weather changes the strength gain of concrete, and sensors can determine the maturity accurately in real time. They can report on hydration with precision and make arbitrary estimates of required wait time unnecessary. Embedded sensors gather real-time measurements of in-place concrete at any time after a pour to provide accurate reports from within the mix. 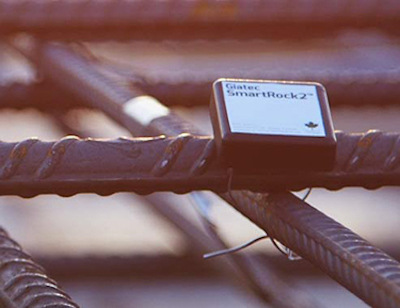 Sensors attach to rebar and report the conditions that exist in their locations. The data that they transmit may go to a logger or an application on a smart or android phone. The data that they receive is permanent and unalterable, making it a reliable resource for all members of a project team. Tags on the sensors can provide job site identification and location of projects that require multiple devices. Models may report temperature readings in Fahrenheit or Celsius. A collection of data may need a hand-held reader that can receive reports from any number of sensors and make it available on demand. The technology of sensors and readers requires no permanent connections. Sensors have a durable coating that withstands exposure to concrete and batteries that have an extended life. While accepting new technology may require a learning curve, it has benefits that repay the investment of time and resources. 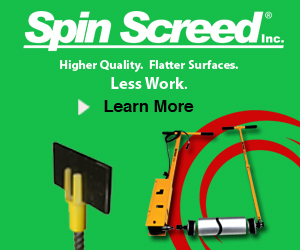 Concrete sensors provide accurate data that helps create safe, reliable and durable pours. The accuracy and immediacy that they bring to maturity and RH testing in real time can give contractors a significant advantage over competitors. 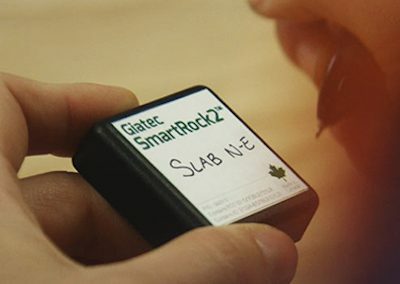 Giatec Scientific Inc. makes the SmartRock2™– a rugged waterproof wireless sensor that allows real-time temperature and maturity monitoring of concrete. The sensor is placed in the concrete formwork (installed on the rebar) before pouring. Using the SmartRock2™ app you can view the temperature and resulting concrete strength in real-time. Label the sensor with the tag indicating its location both on the sensor and in the mobile app. 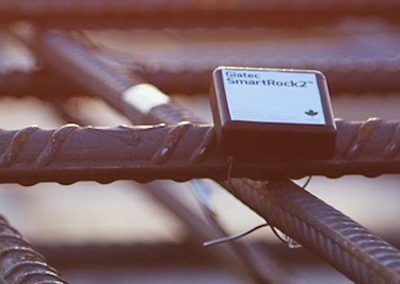 Once onsite, attach the SmartRock2 sensor to the rebar by twisting the metal wires together. This will activate the sensor, measuring concrete temperature and strength. After installing the sensor in the formwork, pour concrete as usual. 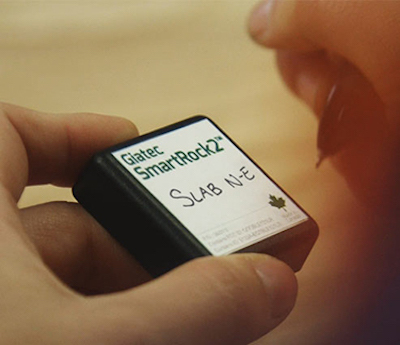 At any time, wirelessly connect to the SmartRock2 sensor, and view the temperature and strength.